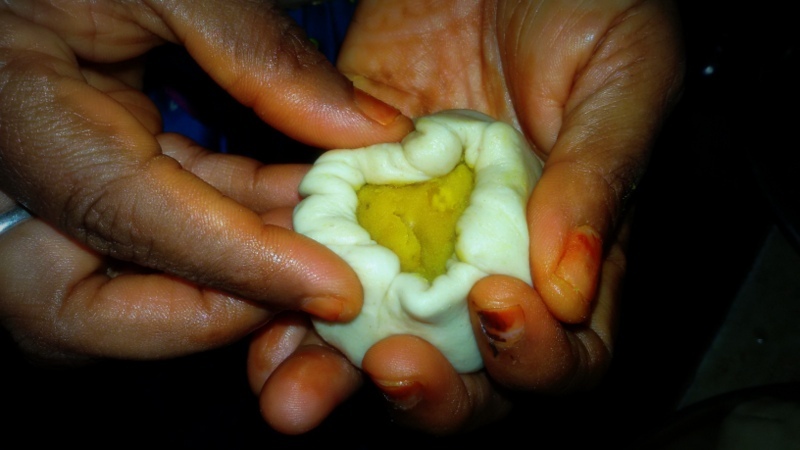 Bobbatlu or Bakshalu is one of the traditional and popular Andhra recipe made during Ugaadi, Diwali or any other festive occasion. 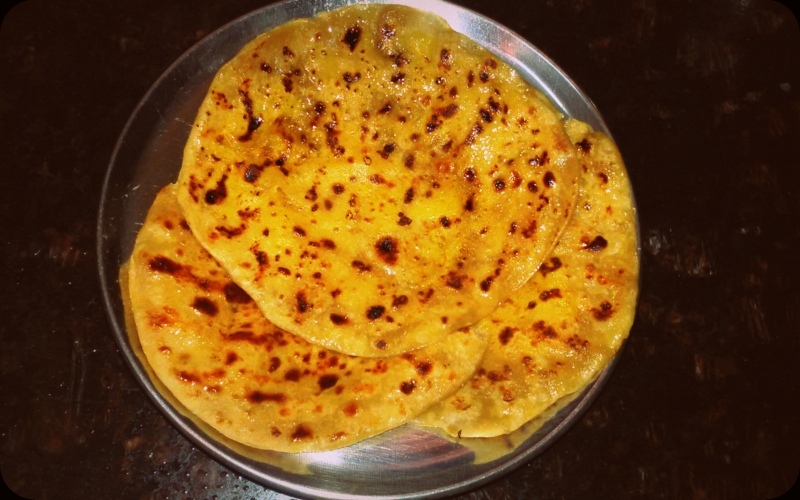 It is also called Puran Poli in Maharasthra, Holige in Karnataka and many other names in different places. 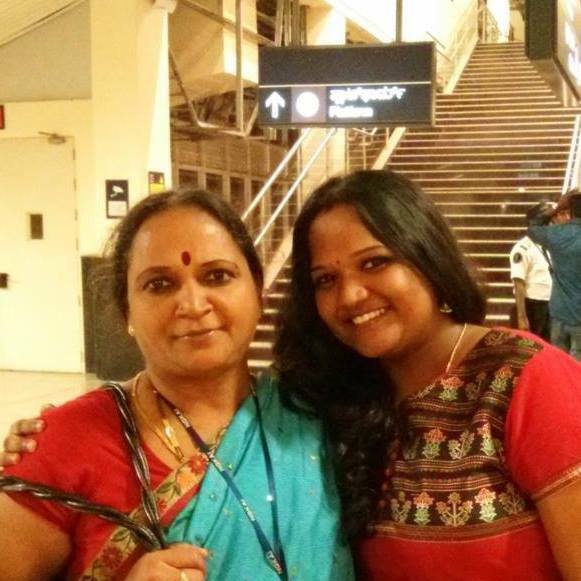 My favorite memories of bakshalu is mom making them for us on festivals and serve them hot with dollop of ghee, also because I am not big fan of ghee she used to give me glass of milk or thick curd as accompaniment and we kids would eat our hearts out and take a nice nap!! Everyone has their own way of making Bakshalu. 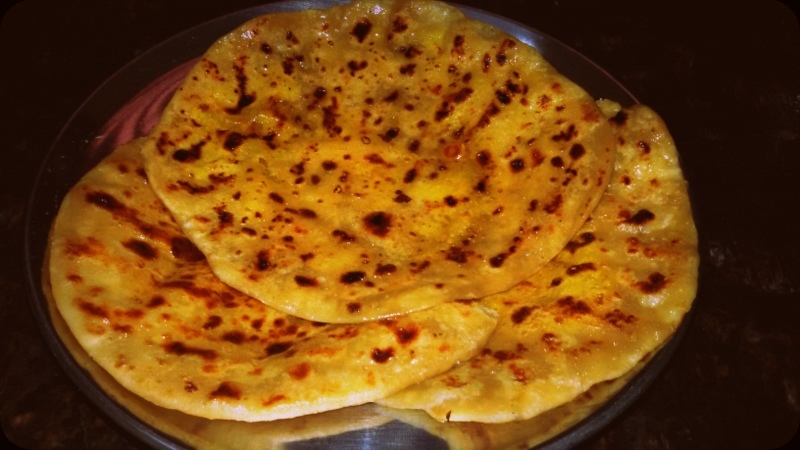 Some make them with just Maida and some add both maida and wheat flour. Today we used both flours in equal quantity. Also whenever you make anything with jaggery try to use fresh one as this is the key element for the recipe. I remember once when I did not have jaggery at home I made stuffing with brown sugar and it tasted great too. So you can try them with brown sugar also sometime. Mix both flours with a pinch of salt, ghee and add warm water and knead in to a very smooth dough. 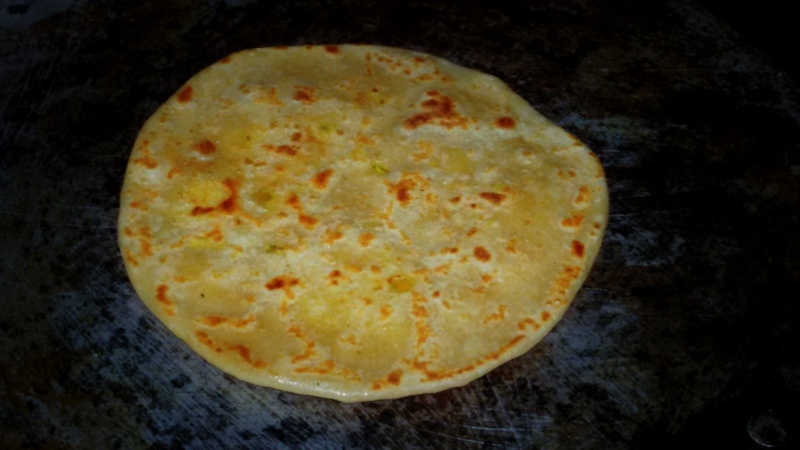 The consistency of the dough should be very loose than the regular roti dough, this is the most important step for soft bakshalu so be patient and kneed the dough nicely. Drizzle some oil on top and cover the dough with a wet cloth and keep aside for minimum 30 minutes. Add turmeric and pressure cook dals for 3 to 4 whistles, make sure dal is completely cooked. Now add jaggery, nutmeg, fennel and cardamom powder and mix everything evenly. 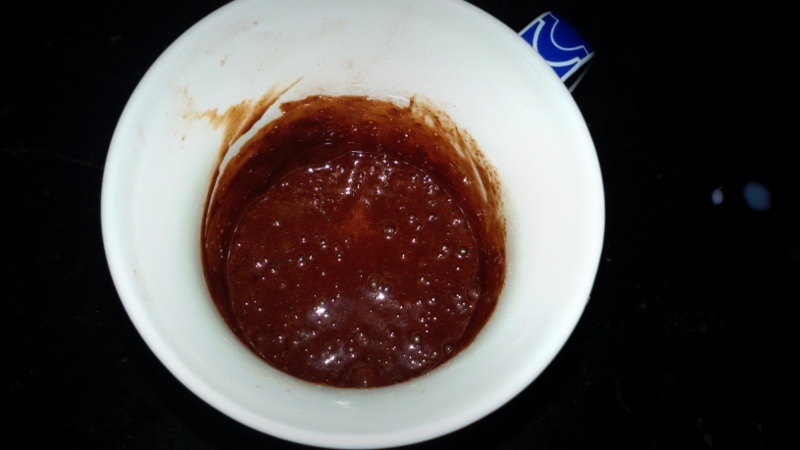 Once its cooled you can either mash it with potato masher or just use the mixer to make a fine paste of the same. Never add water once dal is cooked and remember to taste to check if anything more is needed. 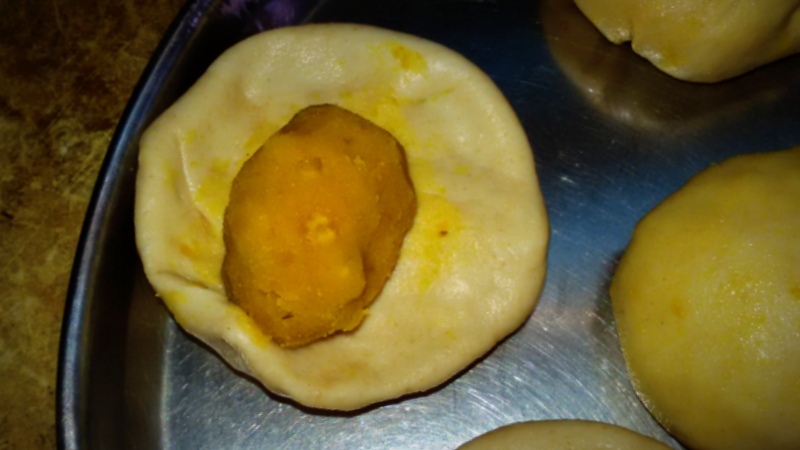 Take a medium size ball from the dough and flatten it enough on the edges, leaving it thicker in the middle, as to cover the filling when placed in the middle. Place a portion of stuffing in the center of the rolled dough and bring the edges together towards the center. Join all the edges and make a roundel of the dough again and keep aside. Make all these stuffed potlis at a time and cover them with a cloth or a lid and start making bakshalu. 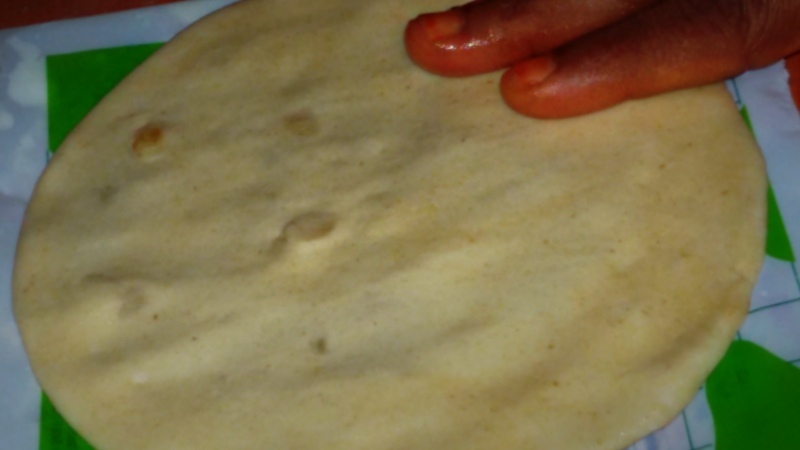 On a greased cover/baking paper/banana leaf spread some oil, place this dough and wet your hands with oil and start pressing them and make a nice round chapathi. 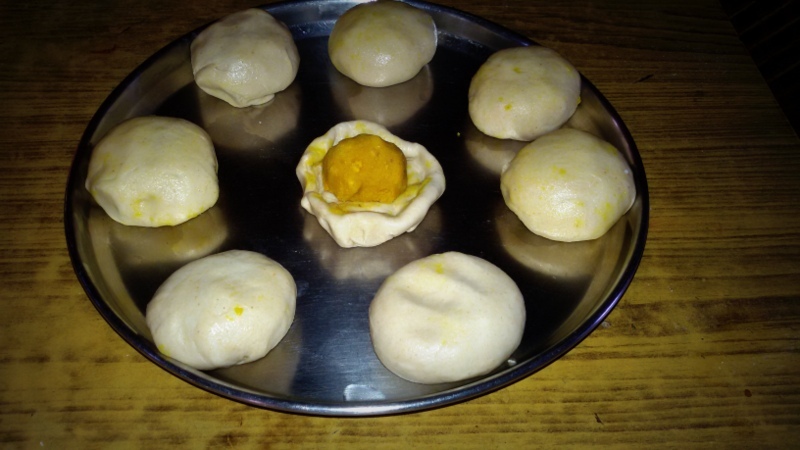 Do not make a big size chapathi, the smaller they are the easier they are to make. 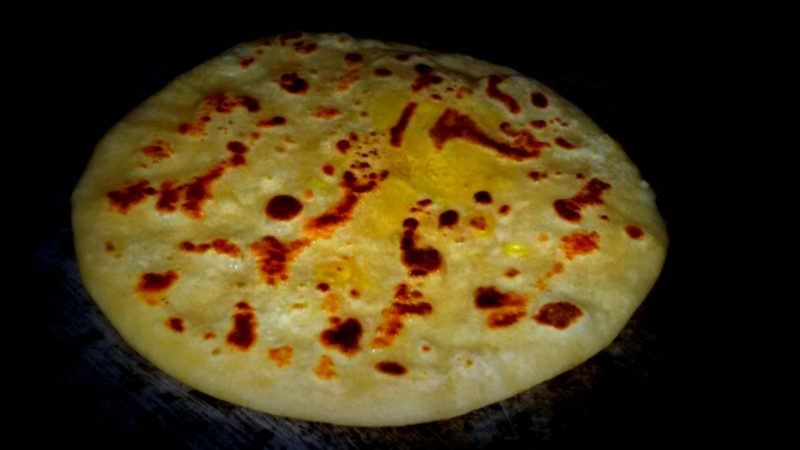 Now fry it on both sides applying ghee/oil until light golden in color on a hot tawa. The more ghee the better taste of course but I put lil oil. So according to your tastes add ghee/oil and fry them. Serve hot or warm with generous topping of ghee and enjoy!! If you’re looking for a qucik fix for your sweet cravings, this is perfect for you. 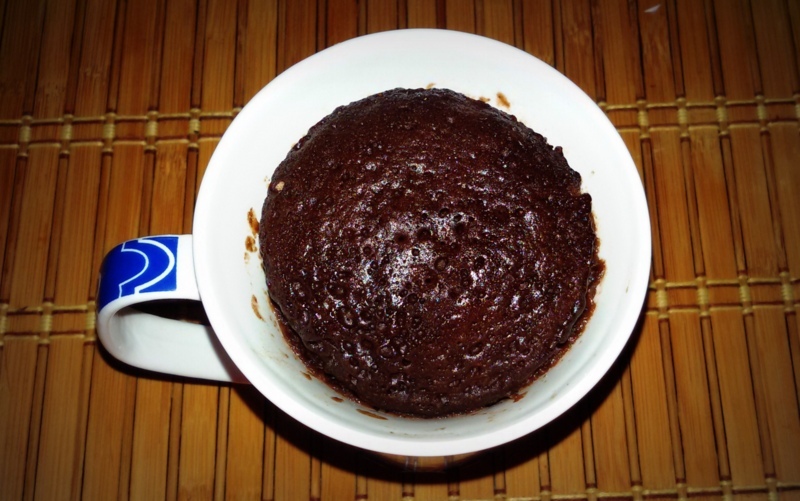 It only takes 5 minutes of your time and you’ve a chocolate cake in your coffee mug 🙂 This cake is really very simple to make and has become a big hit at home and among the people I shared this recipe with. I have adapted it to suit my tastes. So feel free to adjust measurements as you prefer. As long as you’re stocked with a few pantry basics like flour, coco powder, sugar, and few minutes of time you can whip up a fresh, decadent, piping-hot dessert for one or more, in no time! 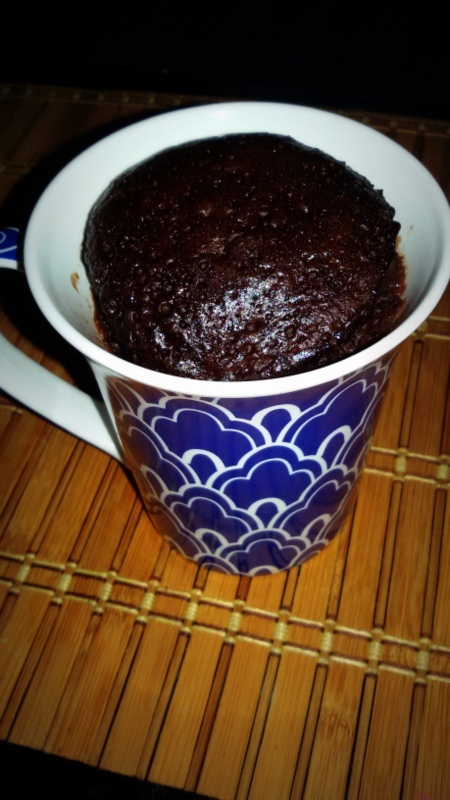 You could make this in a bowl and then pour the batter into microwave-proof dishes/mugs or you can halve the ingredients into each mug. The trick is getting the cooking time right for your microwave. Every microwave oven model is different. This cake comes out perfectly moist if you keep an eye on it in the microwave. I cooked mine for about a minute, but I’d check yours after a minute since microwaves vary. This way you can be sure that you’re not over-cooking the cake, which will leave it dry and crusty. And it’s up to you how you prefer to enjoy these little chunks of heaven. 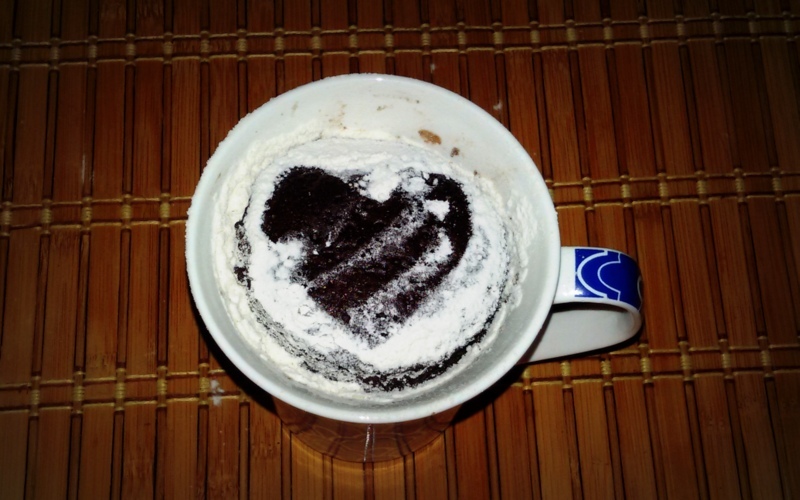 You can eat your cake straight out of the mug (which is what I typically do). Or if you don’t mind dirtying one more dish, you can grease your mug with butter before adding the batter and then overturn your cake onto a plate once baked. Lets see how to make this easy peasy cake! 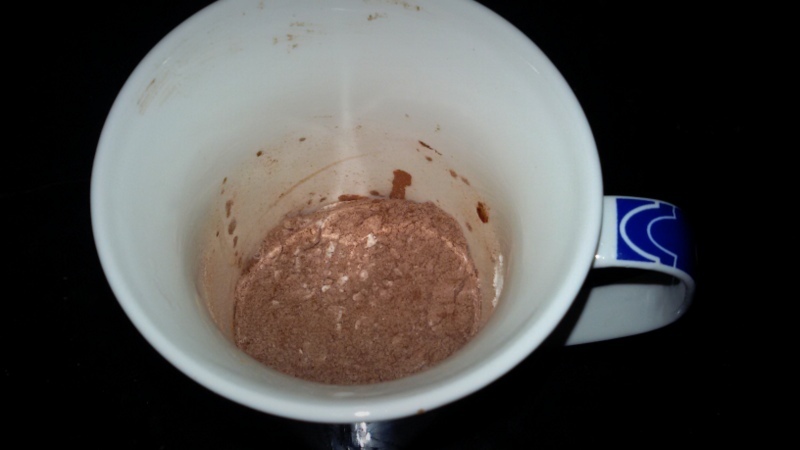 In a microwave safe mug (1 big or 2 smaller ones) add all the dry ingredients, maida, cocoa powder, baking powder, sugar and mix well. 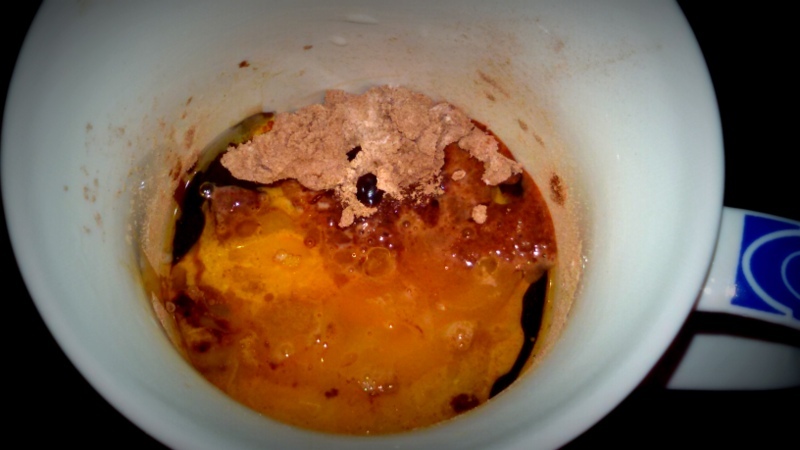 Now add wet ingredients- egg, milk, oil, jam, vanilla essence and mix well. Then microwave for a minute or two. (each microwave is different, so keep checking after every 30 sec). You can add chunks of chocolate or choco chips in the cake batter, makes it more chocolaty. You can add lot of flavours like peanut butter, coffee powder or any fruits pulp if you like. You can skip adding egg and make a vegan cake. It will be more fudgy and will not be as soft as the ones with eggs.